Anxiety is no joke. People pay a lot of money to get over their fear of riding, and many never entirely do. Once you’ve taken a bad fall, it’s really hard to convince yourself to jump back into the fire. It went well, though. 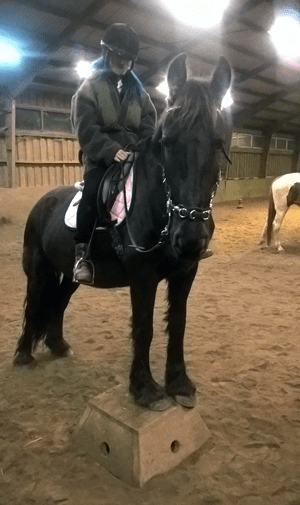 Pilar behaved beautifully and Louise, who has been riding her for me while I was unable, has done a really good job. She bends her neck beautifully and listens to the leg aids far better than three months ago. 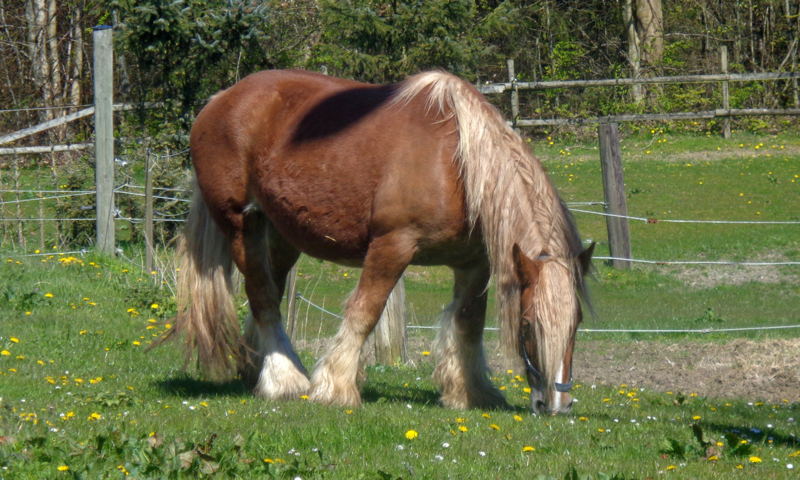 She did ask me a few times whether she was meant to trot or gallop along with the others, but was totally cool with me asking her to keep it at a walk. I haven’t got an honest muscle left anywhere after sitting on the sofa for three months. 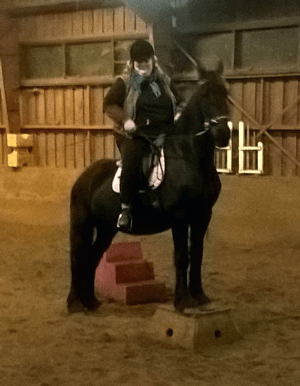 Our friend Joyce got a ride too, and of course Pilar had to show off her very favourite trick with her as well. 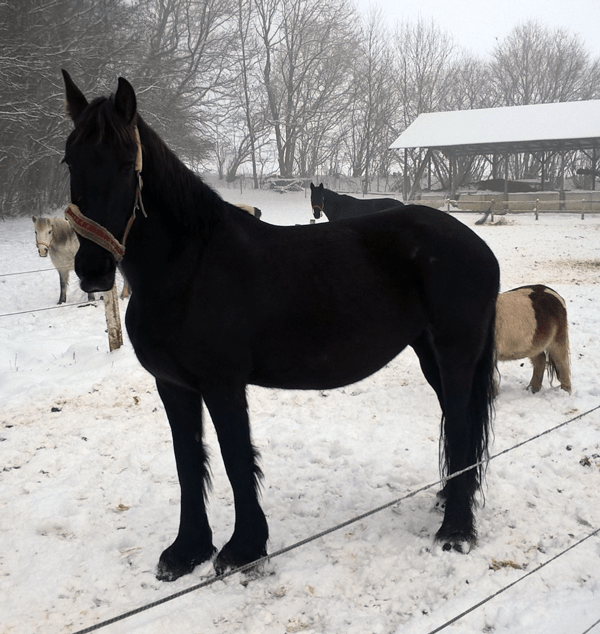 And for our last pic of the day, enjoy the black diva herself in the two days of sparse snow we seem to have been granted this winter.